Hwa Rang Kwan, the oldest Korean martial arts center on the West Coast, was founded in May 1965, and began its current incarnation in 1971, when a young master named Dong Ki Shin arrived in San Francisco from his home in Seoul, Korea. Now a 9th Dan Black Belt in both Taekwondo and Hapkido, Grand Master Shin has spent over 60 years studying and teaching both Korean and Chinese martial arts. As a combat instructor, Grand Master Shin was responsible for training the famed Tiger Division of the Korean army and the legendary Green Berets of the U. S. Army. 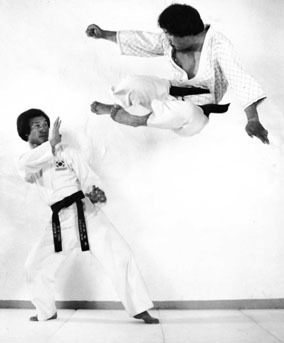 He is also credited with introducing the people of Vietnam to the art of Taekwondo. The Hwa Rang were also enlightened individuals, schooled in both Confucianism and Buddhism. The latter philosophy encouraged them to develop and refine their Ki, or internal energy, and enabled them to enter battle with a refined spiritual purpose. Despite their youth, the Hwa Rang fought with dignity and nobility and became legendary warriors, eventually bringing an era of epic conflict to an end by unifying Korea. 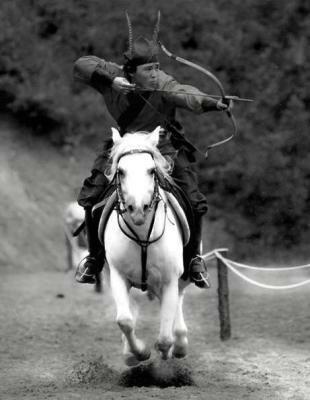 It is these noble, honorable Korean warriors that we acknowledge every time we step into Hwa Rang Kwan.